Ever found that urge to relax while in the mall? Have that feeling of wanting something nutritious yet not heavy? These questions run through my head as I was going around in circles trying to figure out what should I do next. Shopping during the Christmas season has been a nerve wrecking experience. Traffic left and right and not just on the roads but also in the mall. 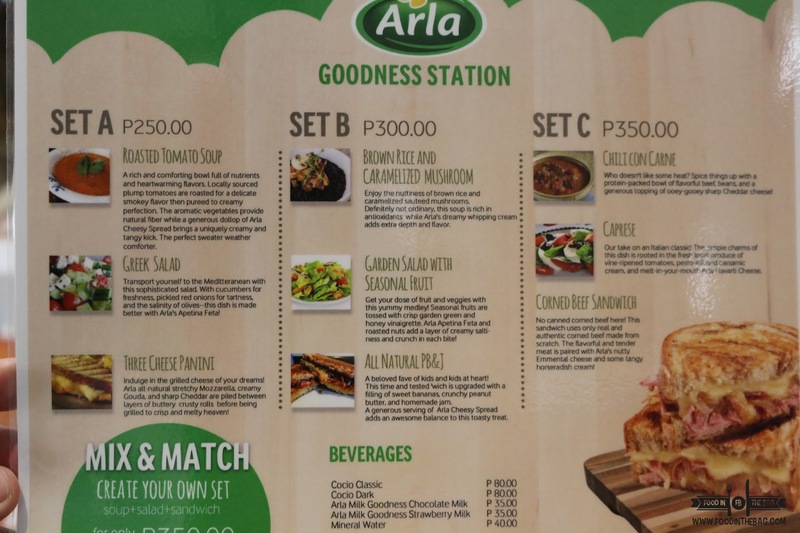 Thankfully, ARLA got our backs. 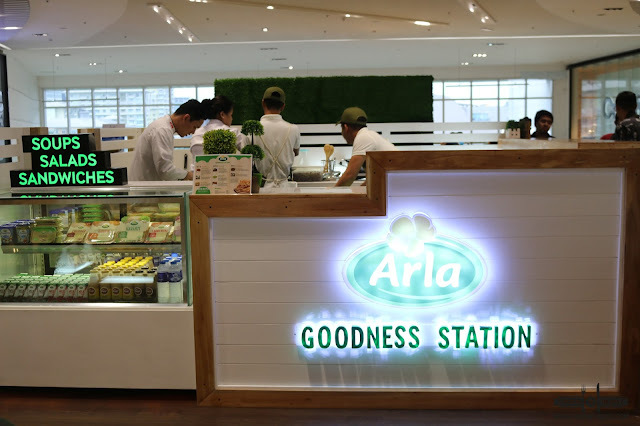 Visitors and guests to SM AURA in TAGUIG, will have a chance to check out the ARLA GOODNESS STATION. 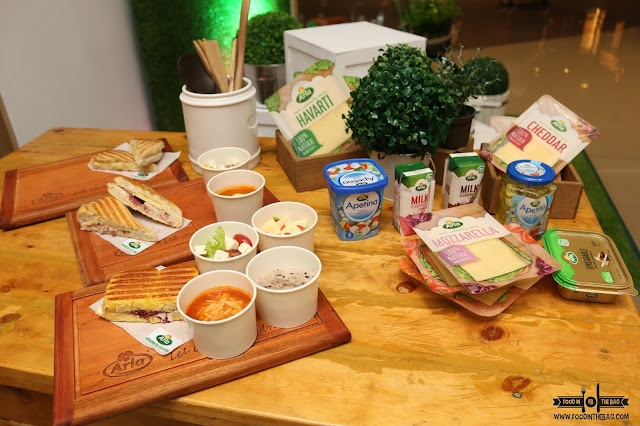 For the Holiday season until the end of February, ARLA created a pop up restaurant to offer fresh, organic and delicious cheesy creations. ARLA is really big on going healthy. 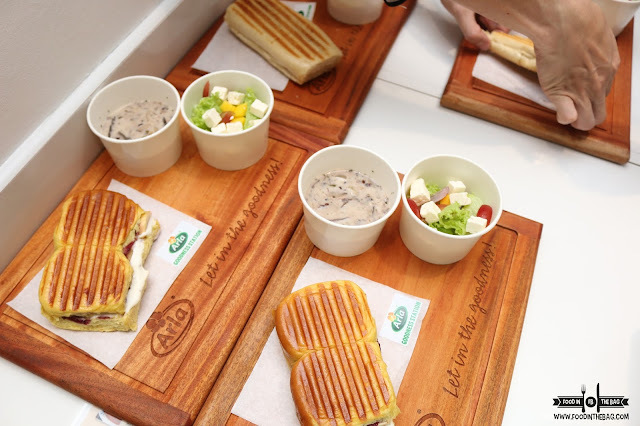 What better way to check out their products through having a quick snack in their pop up store. 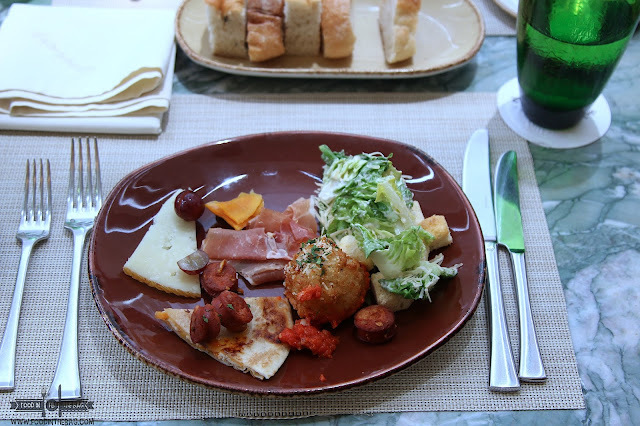 Here, guests are given choices with a bit of mix and match. 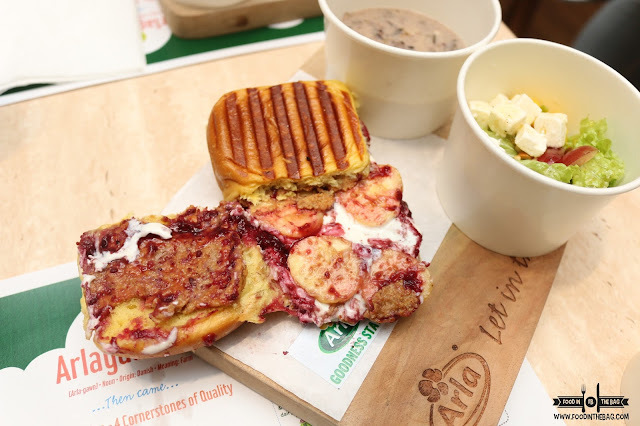 A meal consists of a soup, sandwich, and a salad. Very filling but not too heavy. For someone that just needed a quick fix, this pop up is a welcome treat. The first set is your comfort food at its finest. 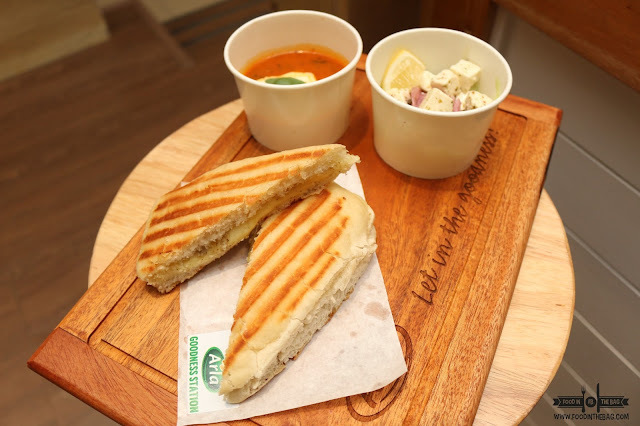 Three cheese panini with roasted tomato soup and greek salad. The sandwich was oozing with cheese and goes well with the tomato soup. You dip and munch basically. 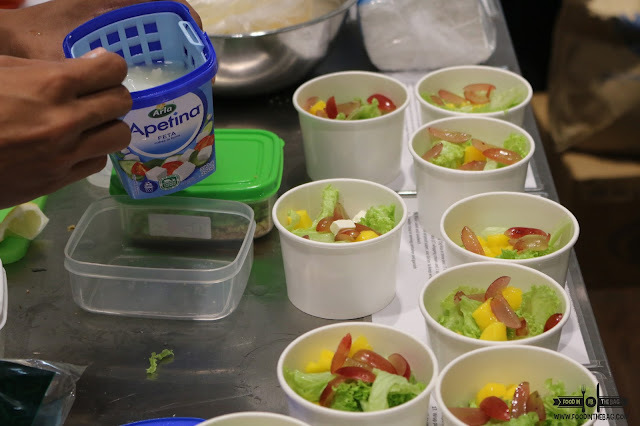 The Greek Salad gives you a bit of refreshing taste. Very nice. Another set would be the NATURAL PB&J. It came with BROWN RICE and CARAMELIZED MUSHROOMS and GARDEN SALAD. The Sandwich had slight sweet tone to it. The mushroom soup, on the other hand, is a crowd favorite. Everyone liked the creaminess of the soup and the texture of the mushroom and brown rice. Meet lovers would enjoy the last set. 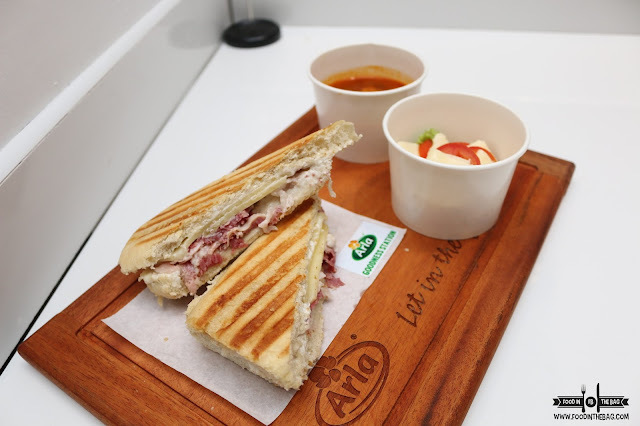 Consisting of corned beef sandwich, chili con carne and caprese salad, you won't be looking for anything else. The corned beef isn't your run of the mill canned good product. It is created from scratch and is partnered with some emmental cheese and horseradish cream. The Caprese salad was fresh and spot on. It worked well with the ARLA cheese. The chili con carne gave it a bit of heat and is just right with the meal. 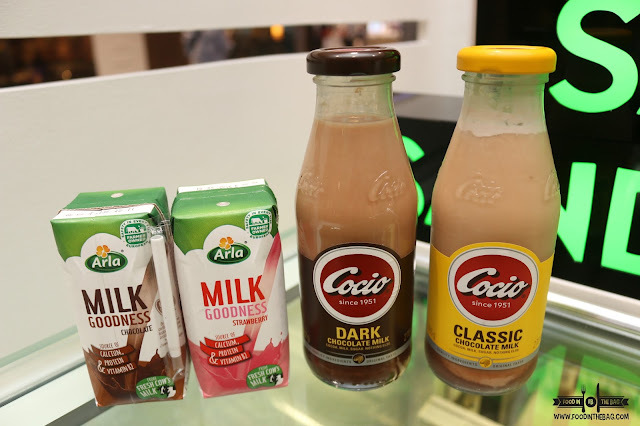 Drinks are perfectly partnered with flavored milk or some cocio drinks. ARLA GOODNESS STATION in SM AURA is a real treat for shoppers and tired loved ones as well. 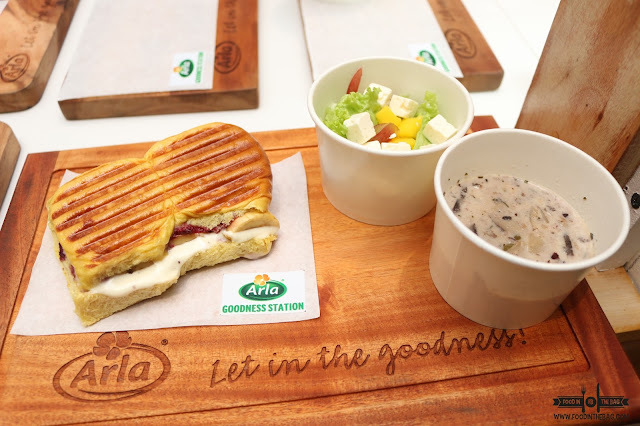 Thinking about our overall health nutrition, ARLA is a hands down top pick. Check them out as they will only be in SM AURA until the end of FEBRUARY.